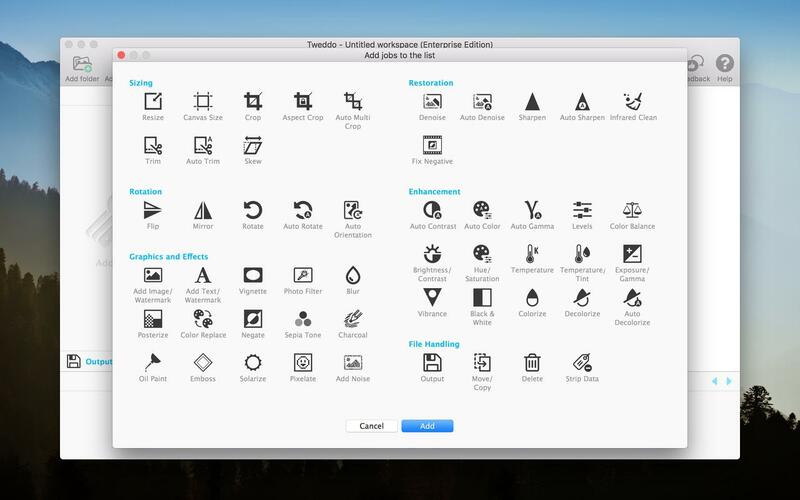 Quickly enhance images while still having the flexibility and capabilities of Photoshop or Lightroom. The quality of your photos is important. But we understand like no other that you don't have the time to post-process every single photo in a large collection. We've experienced that personally, so we created Tweddo. 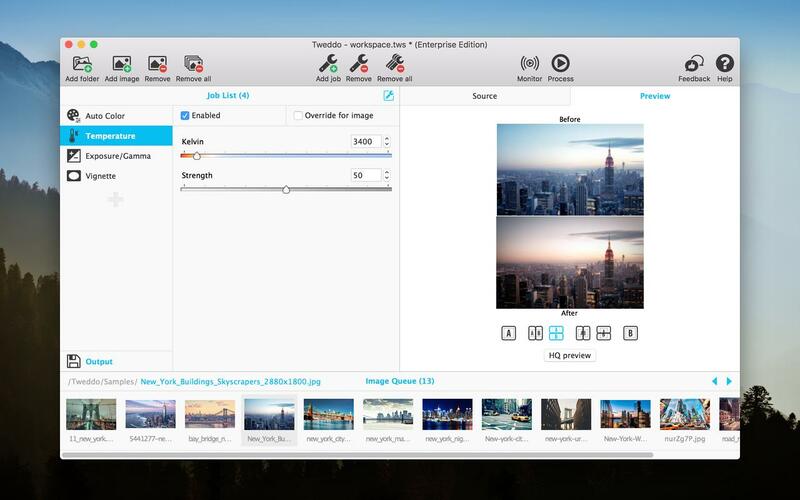 Tweddo replaces the time-consuming task of enhancing large collections of photos without compromising on quality. A growing list of 53+ processing jobs to fulfil your needs. 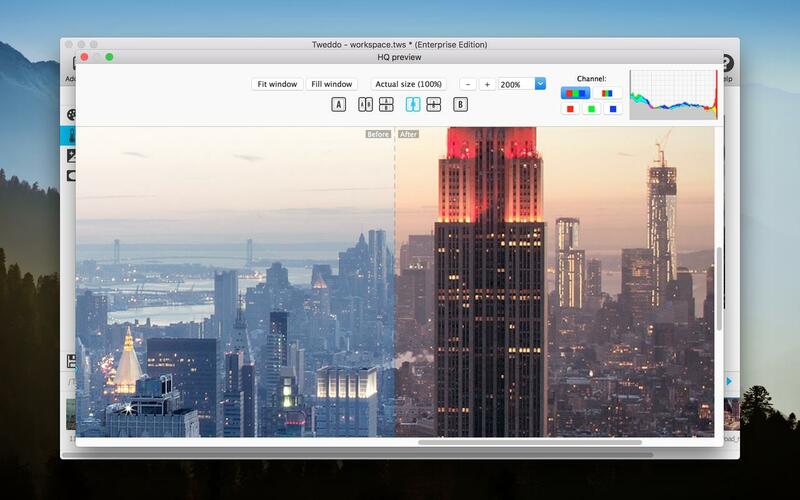 Resizing, effects, file conversion, watermarking... You name it! It becomes your batch photo editor once you find out all its automatic photo enhancement jobs. 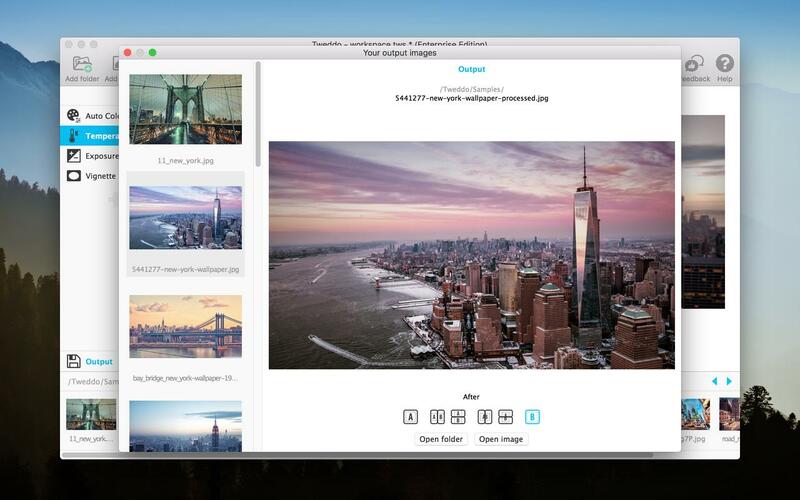 Instantly preview the changes you make in the processing jobs, per photo. Every photo is different and cannot always be generalized, so override configurations per photo until you're satisfied. Tweddo is aware of all the processor cores... And we utilize them efficiently. The interface and your workflow is straightforward. You have your images and your processing jobs. That's it.